Well it all depends on where you are in the country. If you are in Dumfries and Galloway then 11am till 1pm on Saturday is the opening of the McGill Duncan exhibition. After tomorrow I’ll show you pictures of the pots that were made. Also in this region on Sunday is the craft fair to end all craft fairs in Corsock village hall from 11am till 3.30pm. £1 entry fee which includes of course fantastic tea and cakes. Away from the region on Saturday evening is another exciting event. 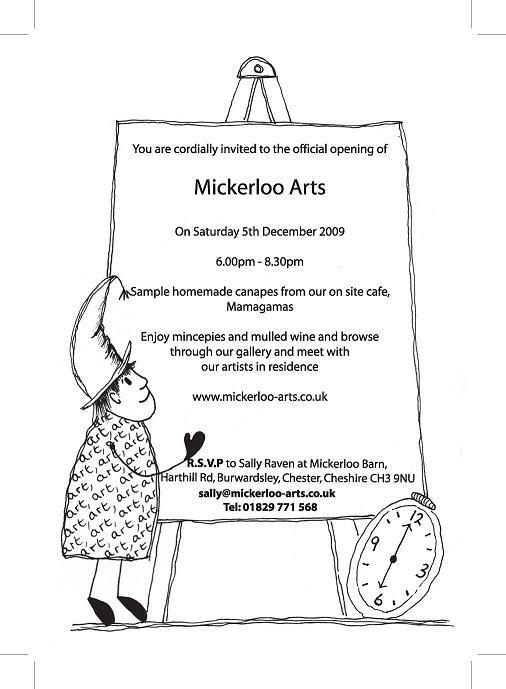 The official opening of The Mickerloo Arts Centre run by a fabulous pair of sisters, Sally and Emma Raven. It’s a fantastic place, artist’s workshops and gallery and cafe all in the one place. Sal makes anagama fired tableware, very tasty. Her sister Emma is in charge of the cafe and her cakes are a dream believe you me. So if you are in the Burwardsley area of Cheshire on Saturday between 6 and 8.30pm then call in and see them, sample the cakes and mincepies and enjoy the gorgeous gallery space and meet the artists that work there. Oh and they have some of my pots in the gallery too. This entry was posted in Corsock Craft Fair, McGill Duncan Gallery, Mickerloo Arts, Sally Raven. Bookmark the permalink.